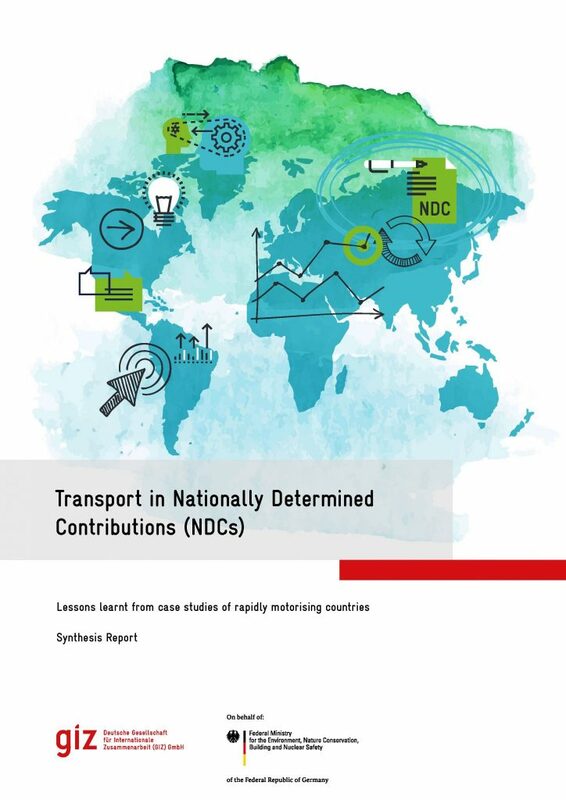 This synthesis report authored by GIZ and Ricardo Energy and Environment provides policy-makers and development practitioners with lessons learned for the development and implementation of Nationally Determined Contributions (NDCs) in the transport sector for post-2020 climate actions. The report summarises case study findings from rapidly-motorising countries, including Bangladesh, Colombia, Georgia, Kenya, Nigeria, Peru and Vietnam. It highlights the shared challenges countries face in developing and delivering greenhouse gas mitigation actions in their expanding transport sectors. Findings, inter alia, include that a lack of transport data is hampering ambition in sectoral climate action and that there is a need for increased buy-in from key transport stakeholders to achieve countries’ climate change commitments. The report also highlights the need to build climate change expertise within transport authorities, and to better align NDCs and national transport sector strategies.